A new wind farm was opened in Victoria as the Andrews government prepares to release its Renewable Energy Action Plan, which will set Renewable Energy Targets for the state. Friends of the Earth welcomed the opening of the wind farm, which was built thanks to the ACT’s Renewable Energy Target of 90 percent by 2020. “The Coonooer Bridge wind farm is a shining example of how state and territory governments can lead on renewables,” said Leigh Ewbank, Friends of the Earth’s renewable energy spokesperson. Friends of the Earth’s Yes 2 Renewables campaign has advocated for ambitious Victorian Renewable Energy Targets. The Andrews government pledged to set targets for 2020 and 2025 in its draft renewables policy released last year. “The community is calling out for Premier Daniel Andrews to put Victoria on a pathway to 100 percent renewables. Adopting a strong 2020 target is the first step on that path,” said Ewbank. 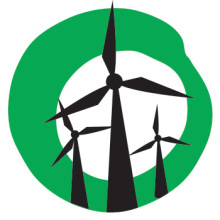 Friends of the Earth call for the Andrews government to adopt the ACT’s best practice model for growing renewables which is bringing new projects online in addition to those built under the national RET. Friends of the Earth call on all parties to support growing renewables by taking a bipartisan approach. The appointment of the first ever shadow Renewable Energy Minister David Southwick shows the Liberal Party is modernising its position on renewable energy. “Opposition Leader Matthew Guy can bolster his renewable energy credentials by supporting Victorian Renewable Energy Targets,” added Leigh Ewbank.